If Buena Park, CA, was to be known for one thing and one thing only, it would have to be the adventure. With its many amusement parks and novelty attractions, this is truly a city that was built for thrill-seekers. When thinking of this city, Knotts Berry Farm and Knotts Soak City are often the first things to spring to mind. Known for great rollercoasters like the Xcelerator, a visit to Knotts Berry Farm is definitely an easy way to get your adrenaline pumping. However, the city is also well known for novelty entertainments like the Medieval Times Dinner & Tournament and the Pirates Dinner Adventure. These restaurants are both a major draw for tourists, but they never seem to get old for residents, either. At Norm Reeves Honda Huntington Beach, we have some of the very best used cars near Buena Park, CA. Check them out today to find your next ride to this city’s many great attractions. In truth, it’s not really hard to find used cars near Buena Park, CA. There are plenty of private sellers posting vehicles online and in the newspaper. But how can you know if their cars are as reliable as they say they are? To put it bluntly: you cant. Car dealerships base their entire reputation on the quality of their vehicles. So, its safe to assume that what you’re getting is of a decent quality. But as a nationally recognized car dealership, Norm Reeves Honda Huntington Beach puts a little extra care into our selection. In our opinion, there’s no reason why a pre-owned car really needs to feel used. With a careful inspection and a bit of elbow grease, it’s possible to get a pre-owned car back to like-new condition. Just take our certified pre-owned vehicles, for example. All these cars must undergo a rigorous 182-point inspection before making it onto our lot. If we see anything that doesn’t meet our high expectations, it gets replaced right away. Only after this is complete do we feel comfortable granting the car a 7-Year Limited Powertrain Warranty. Our standard used car also comes with a 5-5-5 Used Car Protection Plan. We’re confident enough in our prices that if you can find the same model for a lower price elsewhere, well honor it. Either well pay the difference or buy back the car completely. While our huge inventory of used cars is something that we are renowned for, we are also well known for our great prices. When it comes to used cars, as a matter fact, we offer tons of specials and a select Under $10K inventory. Saving money shouldn’t be hard when shopping with us. 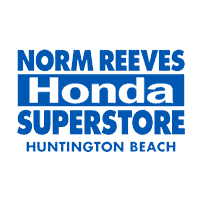 If you’re looking for quality used cars near Buena Park, CA, look no further than Norm Reeves Honda Huntington Beach. Visit us today to learn more.